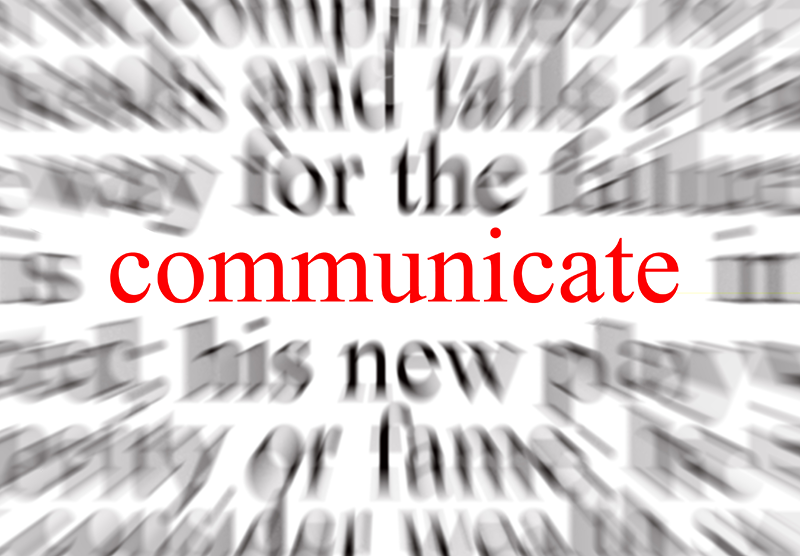 The primary task of your school’s website is to facilitate effective communication. If done right, it can not only keep everyone informed but will improve morale and create staff, parent, and student enthusiasm for the school. It can be an amazing resource in sharing your successes, encouraging parent involvement and support, and creating a positive place to attend and to work. Your school’s website can be, and should be, one of the single most important communication tools in your arsenal. Are you using it to its advantage? First of all, it is important to be sure you are inviting input from all those folks who know what is going on within the classroom walls. There are great things happening there every day. Students are getting excited about learning. Self-esteem is earned. Challenges are overcome. Talents are uncovered and shared. But, unless you get teachers and coaches and student aides involved in sharing those stories, they will never make it to your website or your social media and into your communication channels where it can help market your school and strengthen your school brand. So, how do you get them to share? Reward them. Not with money, but with recognition! Congratulate staff who submit stories, events, successful projects, and student successes for publication (on either the website or social media—hopefully both). Bring up these contributions during staff meetings. Send a note of thanks to those who get involved. Make sure others know that it is important to the administration, and you’ll see more participation. We must attend to the outcomes we intend to create. So, acknowledge (attend to) those who contribute to your goal of increasing and improving effective communication, and you will see more engagement from others. One school we know actually gives awards twice a year at their governing board meetings to the school or grade or department who does the best job of contributing to the website. It works wonders! Assign them. Create an annual “communications calendar” where you assign each grade level or classroom or department (depending on your school structure and needs) a week where they are to provide a story for the website and social media. Give them lots of lead time so they can be on the look-out for an interesting topic. It might be an especially effective integrated lesson module, a pivotal athletic event, a spelling bee, or a science fair—the more variety the better. Encourage them to take pictures and to include the “why” for the activity, so parents can see the strategy that goes into everything that happens at school. Let us do the rest! If you are a client of School Webmasters, we will do the rest. You focus on generating news and sending it our way. If you aren’t our client yet, you can replicate our processes (with enough staff and time, of course). Develop a strategy and processes. Making it easy to contribute. Submitting information must be simple, or your staff won’t take the time to do it. We provide a simple login to our customer service team that requires no training or special skills beyond those needed to send an e-mail. With a few keystrokes, your staff can quickly send us information, upload photos or videos, or send us a newsletter. Apply style guides. We use The Chicago Manual of Style for consistency and accuracy and filter website updates through commonly accepted grammar, spelling, and punctuation practices. We also use website best practices to keep the website intuitive, clean, and easy to navigate. Proofing and editing. We make every effort to avoid errors by proofing and editing any information submitted to us. Our quality control team also spot checks our school’s websites regularly for broken or out-of-date links and information, layout, and article/news timeliness. Keeping it informative. When we don’t get current information from a school, we provide professionally written newsworthy articles on helpful topics. We try to assure that our school’s site visitors will always find useful information there. Providing ongoing feedback and training. We want to be sure that those who are authorized to submit information for the website and social media channels know what works. We provide monthly tips and ideas that can turn your staff into communication savvy public relations ambassadors for your school. When necessary, we reach out to individuals directly. Staying current. From up-to-date news and information to keeping the site design current, you need to make sure your website meets the needs of your site visitors. We become your behind the scenes staff who make that happen. From our copywriters, quality controllers, and proofers to our designers and programmers, you will have at your disposal a team of talented and affordable experts dedicated to making your communication efforts effective! Maintaining website compliance. In order to assure all of your site visitors have access to the information your school website provides, be sure your website is ADA accessible so those with disabilities are not excluded. Also, be sure your website is responsive. A mobile-friendly website provides easy navigation and access from whatever device your site visitors are using. Schools often do a poor job of letting the public know what great things are happening within their walls. The reason is that it takes time, and that is one thing most schools simply don’t have enough of. School Webmasters offers something no one else does—real live people to accomplish the tasks of implementing ongoing school website and social media management—day in and day out. With our scalable services, any size school or district will benefit from effective and affordable communication services. Reach out to us today to get the details for your school!